Vinnie Paul Abbott 3/11/1964 – 6/22/2018 R.I.P. Damn. Both brothers taken way too soon. Just tragic. Vinnie Paul reportedly died in his sleep from a massive heart attack at the age of 54. 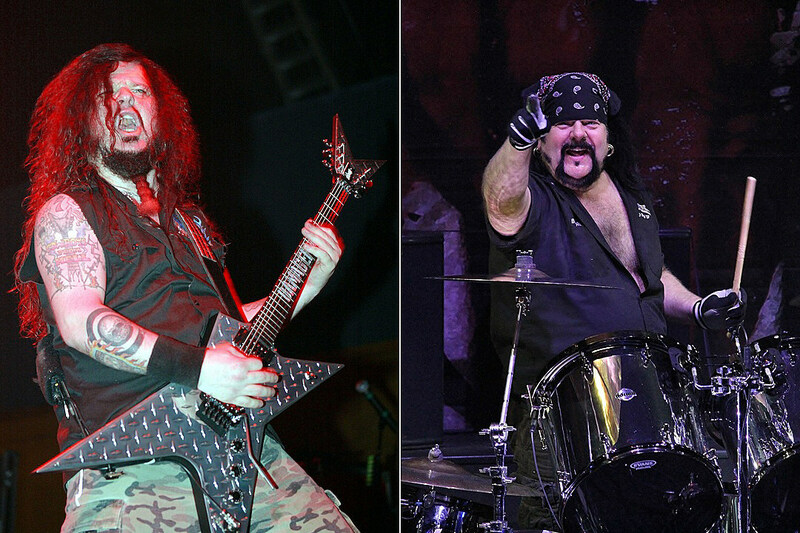 Vinnie was the rock foundation upon which the legendary Texas groove thrash metal band Pantera was built. Vinnie along with his brother Dimebag Darrell, Phil Anselmo and Rex Brown created one of the shining lights that helped metal survive the turbulent era of the 1990s. Their combination of the thrash metal of the mid-1980s with a slower mid-tempo groove inspired countless number of bands going forward. Vinnie’s creative use of double bass rhythms were a key component to Pantera’s brutal sound. I think Vinnie is probably going to be remembered more for his big-hearted personality even more than for his musicianship. Tribute after tribute has poured in from across the metal community over the weekend attested to his constant focus on making sure all those around him were having a good time. It truly seems like this man was universally loved by everyone in which he can into contact. The Abbott brothers were known far and wide for their ability to party harder than anyone else. It is a testament to Vinnie that he was always able to maintain his passion for life even after seeing his brother, Darrell, murdered on stage in front of him. Condolences to his surviving family and loved ones.